The GriGri, manufactured by Petzl, is a self-braking belay device that is used for belaying a lead climber, a top-rope climber, and for rappelling on a single rope. The belay and rappel device is ingenious and stylish. It works very simply. When the rope, tied to a climber, comes under sudden tension, usually from a fall, a cam inside the GriGri pinches the rope and stops the climber’s fall. Since the GriGri was first introduced by Petzl in the early 1990s, the device has become extremely popular with sports climbers, aid climbers, and at indoor gyms. Climbers especially favor them for single pitch sports routes and hang-dogging or working a difficult route. The GriGri excels at these tasks, making the job of belaying much easier for belayers. It is, however, important that every climber that uses a GriGri knows how to use it properly and safely. 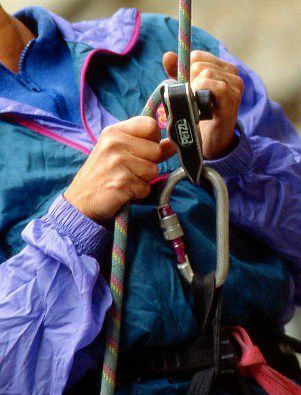 Numerous accidents and mishaps have occurred over the last 20 years, including many climbers dropped to the ground by belayers who held the device open while lowering or improperly loaded the rope in the belay device. It is important to always remember that a GriGri as well as any other mechanical-assist belay device like the Trango Cinch, is not an auto-locking or hands-free device. A GriGri always requires an active brake hand on the braking rope that is ready to lock the rope in the device. The GriGri works best with ropes between 9.7mm and 11mm, although thinner ropes can be used in the GriGri2. The belayer slowly pulls the climbing rope through the device as a climber moves upward, feeding the rope smoothly. If the climber falls, the sharp tug on the rope from the fall locks the cam against the rope, preventing the rope from continuing to move through the GriGri. The first important step to safely use a GriGri is to properly thread the climbing rope through the device. Petzl makes it easy for you to always load the rope correctly if you pay attention. Engraved on the device are pictograms that show you where both the active and brake ends of the rope should be. Climber Rope: The side of the device, next to the carabiner hole, has a drawing of a climber. The active rope to the climber goes out of this side of the GriGri. Belay Hand Rope: On the opposite side of the device from the climber pictogram is the depiction of a hand on a rope. The braking side of the rope, which goes to the belayer’s brake hand, goes out this side of the device. It is simple to properly load the rope in a GriGri, but many climbers, including myself, have loaded it backward. 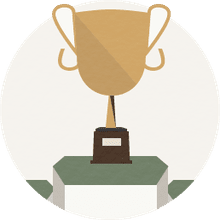 If the rope is loaded backward and improperly, it will run through the device if any weight is loaded onto the rope, which can cause the climber above to fall to the ground, especially if the belayer is unable to stop the rope from running through the GriGri. The rope is usually improperly loaded in a GriGri by being in a hurry, not checking and then double-checking to make sure it is loaded correctly, and in bad weather when the climber might be in a hurry to either rappel or lower a climber. Always check to make sure that the rope is loaded correctly in your GriGri by first looking at the pictograms and visually checking that the active rope is to the climber and the braking rope is to your brake hand. After you’ve checked the rope and device, always give a sharp safety tug on the sharp end of the rope that goes to the leader before he starts climbing. Make sure that the rope locks in the device after your hard tug. If it slips in the device, double check to make sure it’s loaded right. Always clip the GriGri and it’s paired locking carabiner to the belay loop on the front of your harness when you are belaying a lead climber. You can belay the second climber or a top-rope climber from above with the GriGri and lock carabiner clipped directly to an equalized anchor. If you belay like this, make sure that the GriGri and the rope face away from the rock surface so that nothing will interfere with the movement of the rope through the device nor accidently block the cam open, allowing the rope to slip through.